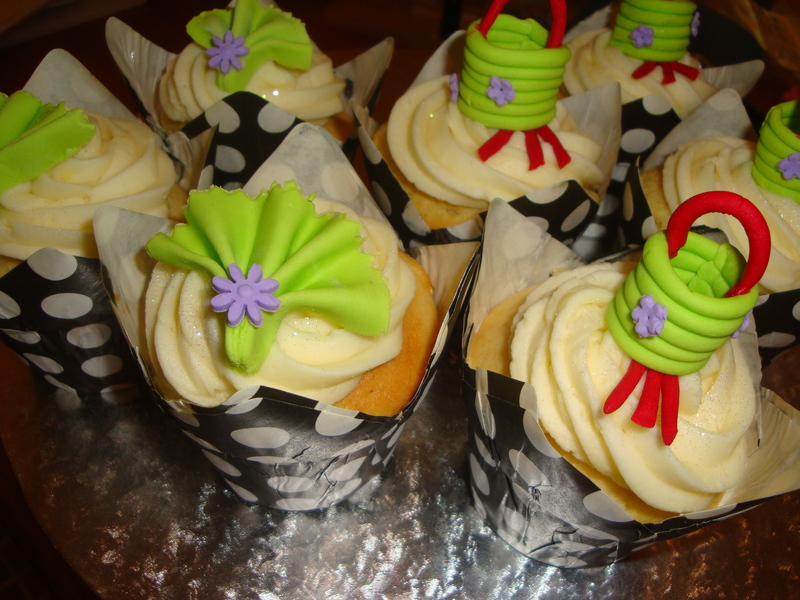 These cupcakes were inspired by a farewell party for a couple going on holiday to China. I thought these cupcakes would capture the mood of a Chinese holiday perfectly. Again I did some google research for ideas and made these cute Chinese lanterns and fans. 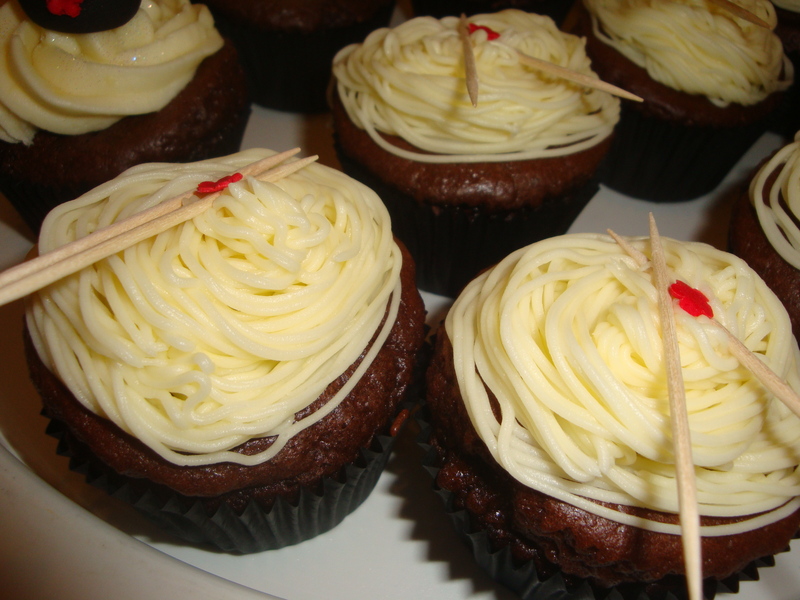 My son had the brilliant idea of a bowl of noodles and chopsticks so I made little black bowls of noodles and then iced the rest of the cupcakes to make them look like a big bowlsof noodles. I used toothpicks for the chopsticks and cut them in half for the chopsticks on the small bowls. ← Tracy’s Tinky Birthday Cake. Thanks Tracy and yes his inspiration may have come from there as he loves their food. They looked fantastic Lisa and tasted just as good! Everyone raved about them – thank you so much! I think this is your (Teigh’s???) cleverest idea yet. It truly is brilliant. They are stunning to look at and I am sure divine to eat as per usual. Thanks and yes I love the idea he had – brilliant to have input from other brains.